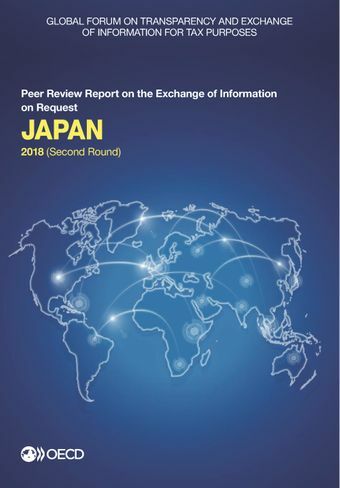 This report contains the 2018 Peer Review Report on the Exchange of Information on Request of Japan. Japan was assessed to be overall Largely Compliant with the EOIR standard. Its legal framework is generally in line with the international standard, but improvements are required to ensure the availability of beneficial ownership information on all relevant entities and legal arrangements. In addition, Japan must monitor the application of the new definition of beneficial owner, which applies to financial institutions since October 2016, when they conduct their customer due diligence. Japan has addressed to a large extent the deficiencies in its EOI practice which were identified in the first round of reviews. Japan’s EOI partners are generally satisfied with the quality and the timeliness of the EOI responses sent by Japan over the period 1 April 2014 to 31 March 2017. Read the press release.